Earlier this summer, I toured around Europe for over a month. The official reason for the trip was a series of live events and training seminars, and while those events were awesome, my time abroad ended up being about far more than that. 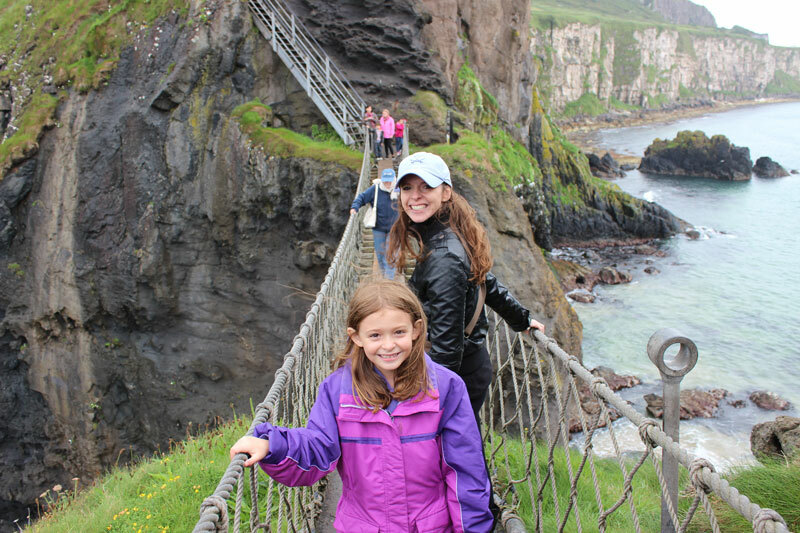 Victoria and her daughter after crossing the Carrick-a-Rede rope bridge in Ireland. For the first time since I began touring with my live show, my daughter was old enough to join us full-time on the road. She turned eight a few months ago, and while she is still 100% kid, we’re also blessed that she’s earnestly interested in the world around her, how it works, where we came from and who else is out there. As such, it was beautiful to see a young person’s eyes truly opened in ways that only international travel can achieve. I took some great family trips when I was growing up, but the world was bigger then – less connected and more difficult to get from A to B. Nowadays, even though there are the usual modern drawbacks (security hassles, global corporate brands encroaching on local ‘feel’, etc), it really does begin to feel like ‘we’re all in this together’ and that there is a sense of world community. It’s nice when global events like the recently-ended London Olympics (how proud was I of that!) foster a sense of togetherness, but I’ve found that nothing brings people together like a love for and advocacy of our pets. Dogs continue to amaze me every day, most recently by reminding me of the power they have to allow people from different corners of the world to speak a common language and share a universal bond. From the amazing people I met in Finland to the dynamic folks throughout Italy and the lovely people of Ireland and the UK, it was so reinvigorating to interact closely with so many people who were united in their love of dogs, their desire to connect with their pets on an ever-deepening level and by their passion for promoting the right way to treat animals. I was humbled to meet so many people doing so many amazing things for animals around the world – I really do have the best job! On our way to see the horses with our lovely Finnish hosts outside Helsinki. We started with a few days in Helsinki. I’d never been to Finland before, and didn’t really know what to expect. I knew the sun didn’t set very much in the middle of the summer, but I still wasn’t prepared for the odd sensation of driving away from the airport with our phenomenal hosts at 11pm in broad sunlight. 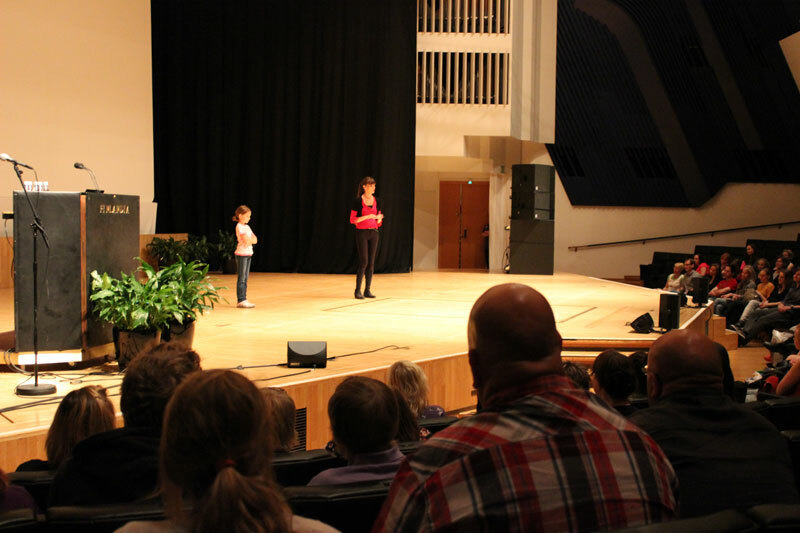 I was brought to Helsinki to do a live show in the lovely Finlandia Hall by an animal communicator named Maiccu Kostiainen of Animals Talk – one of the most dynamic animal people I’ve ever met. Maiccu is a huge proponent of force-free training and is committed to providing her local Finnish people with as much info as she can. The show was great - fortunately, the vast majority of Finns speak fluent English, so I didn’t need an interpreter. I usually demonstrate my training techniques with rescue dogs from whatever area I’m visiting, but in Finland we had the wonderful problem of not being able to find shelter dogs. There were no shelters, as there’s no significant pet overpopulation problem there. I can’t tell you how refreshing it was to be in a place where not only did people ‘get it’, but they also lived it in terms of their legislation, levels of responsibility with their own pets and overall ideas about pet ownership. In the end, we ended up finding some dogs that had been rescued from Spain (the opposite of Finland in terms of animal welfare in general). Another example of how forward thinking the Finns are in terms of animal welfare is that the use of shock collars to train dogs is illegal. How refreshing! 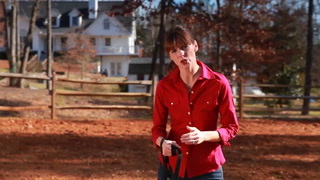 Victoria is joined by her daughter onstage to talk about dog bite prevention and safe dog handling practices. It was also an opportunity for my daughter to begin taking a larger role in what I do and my public appearances. She loves animals and is passionate about treating and teaching them humanely, so when I asked her if she’d like to help demonstrate some of the ways I teach school kids to interact with dogs, she leapt at the chance. 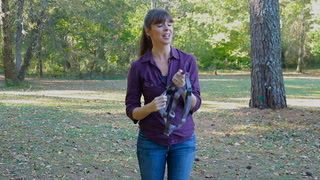 She does a great job of helping the younger people in the audience understand why it’s so important to practice safe handling and introductions around dogs, even those that people already know. One of the highlights of our time in Europe, however, came in the very unexpected form of a horse trainer from Petersburg, Virginia. 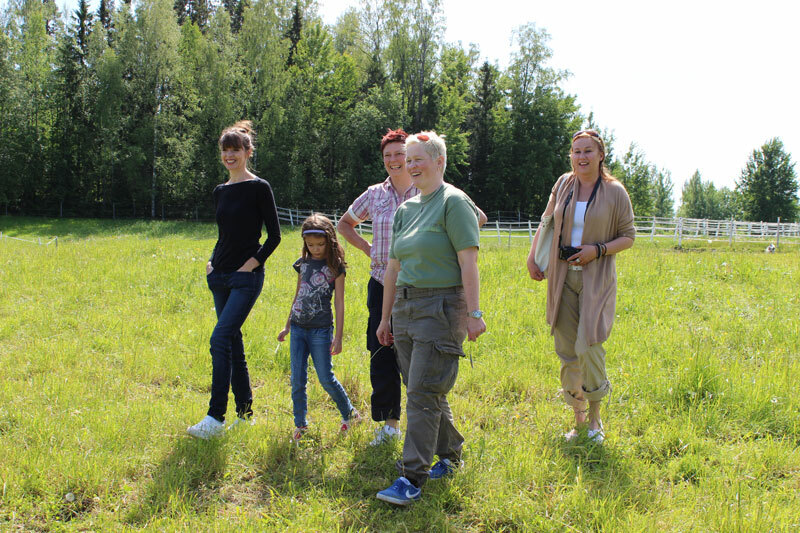 Maiccu and her partner regularly host a world-class horse expert named Randy Abernathy and his wife on their farm about an hour outside of Helsinki. Randy and I immediately struck up a very close bond which grew stronger the more we talked about animal behavior, training and ideology. Turns out that Randy is a bit of an outlier in the horse training world, in that he is a died-in-the-wool crossover trainer. 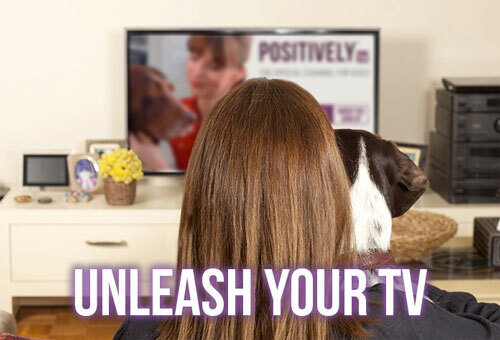 A lot of people in the dog world are used to the term ‘crossover trainer’ because it describes someone who started their training career as a dominance/punishment-based trainer but have since been educated that positive, force-free training is more effective, humane and long-lasting. I was perhaps naïve about the fact that positive training in the horse world is almost nonexistent, and that the vast majority of trainers use significant punishment techniques to train their horses. Randy used to be one of those trainers. But a lifetime of experience, both in the horse ring and in outside life gradually led to his evolution as a crossover trainer who now believes that punishment simply is not the way to go – even with horses. I’ll write more about some of the fascinating discussions Randy and I had later, but for now, I’ll just leave you with one of my chief takeaways from my time with Maiccu, Cecilia and Randy: the idea that while the overriding concepts of force-free training apply in our work with all species, it is important to realize that one of the most significant differences between horses and dogs (besides about 1000 pounds of weight) is that dogs have been domesticated while horses have been merely tamed. The distinction between the concepts of ‘domestication’ and ‘taming’ led to some pretty eye-opening conclusions for both Randy and myself, and reminded us both again of why we love the science of what we do so much. Fascinating stuff. Victoria with VSPDT member Giorgio Garmot's team of Il Cane Norma trainers during a break from her seminar in Rome. From Finland, it was off to Rome, Italy for a couple of days to take in one of the world’s most amazing cities (Coliseum, Forum, ancient historical sites, fountains, squares, people, art and music) before beginning my first multi-day training seminar. Our host in Rome was one of my awesome Victoria Stilwell Positively Dog Training (VSPDT) trainers in Italy: Giorgio Guglielminotti Garmot (say that fast even once!) of Il Cane Norma near Ariccia, just south of the city. Giorgio and his dynamic team of positive trainers organized 3 days of exhausting but wonderful demonstrations and lectures. Having spent a good bit of time in Italy on vacation when I was growing up (it was just a ferry and a couple of days’ drive from my home in London), I’m pretty familiar with Italian culture, and I can speak a small bit of Italian (though not enough to dismiss the army of interpreters for the weekend). What was really interesting to me, though, was the new awareness I developed of the difference in culture and lifestyle between Italians in the north and the south. Living in the southern United States after having spent many years in the northeast, I’m constantly aware of the differences between the different areas of this country, but I was not aware that such stark differences also existed in much smaller countries which seemed from the outside like one, homogenous group. The south was very laid-back and almost Mediterranean in feel. Time and deadlines were merely suggestions, and there was a somewhat liberating freedom once you stopped fighting against the wave of casualness and gave in. This was most evident during one of my seminars when I announced that we’d break for lunch. I made a point of telling the attendees that we would begin promptly at 2pm – not Italian 2pm (which could be bent backwards by an hour or so), but English/American 2pm. Despite my best efforts, when I returned to the lecture hall at 2pm ready to continue talking about canine aggression, I found that I was the only person in the entire room. Luckily, I had been in southern Italy at that point long enough to realize that it wasn’t a case of people leaving early – they gradually sauntered in after a few extra cigarettes and amiable chats. 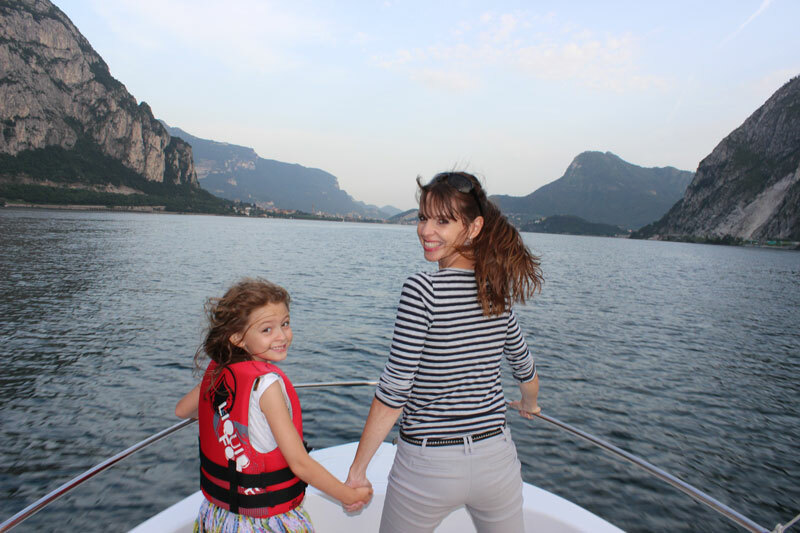 Victoria enjoying a speedboat ride with her daughter on beautiful Lake Como after her seminar with VSPDT trainer Daniela Cardillo of Greendogs in Lecco. After Rome, we had a couple days off in one of my all-time favorite cities – Venice. My husband had never been there, so the three of us had a wonderful time exploring the magical city anew. There’s nothing like putting some final touches on the manuscript for your upcoming book while sitting on a private terrace overlooking the Grand Canal! From Venice we continued to our last stop in Italy: Lecco, a medieval town on the southern shores of the simply stunning Lake Como. 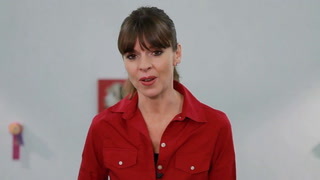 This phenomenal location is also the home base of another dynamic VSPDT trainer – Daniela Cardillo of Greendogs. Daniela is a true powerhouse and organized a fantastic two-day event in Lecco. This was with northern Italians – the group described by their friends in the south as being much more ‘German’ due to their proximity to the business hub of the country in Milan. I had a fantastic time in Lecco, meeting some of the most devoted dog lovers and interested attendees I’ve ever worked with. The appetite for learning about and consuming all the great knowledge being provided by the behavioral scientific community is insatiable, and it was reinvigorating to be around people so hungry for more the right kind of information. 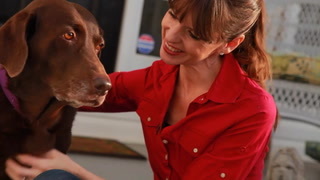 I’m really excited about helping Italy continue its evolution into the 21st century in terms of dog training. Similar to the US, it is an uphill battle fighting against the entrenched old-school, punishment and dominance-based methods in Italy, but there is a groundswell of momentum that will soon envelope the whole country, and I’m thrilled to be working on some initiatives to help turn that momentum into positive change. See the full photo gallery from my European tour trip here. Read Part 2 of my tour recap, including my return to pre-Olympics London, the beautiful northern Irish coast, the Lennox/BSL situation in Belfast and more.